Salvador Dali Golden Gate Bridge is an etching. It is part of the 5 piece San Francisco suite. It is available individually or as part of the complete suite of 5 etchings. Jean Schneider published the suite. The edition size is 235. The image size is about 20 3/8″ x 14 1/8″ and the full sheet is about 26 3/8″ x 20 1/8″. The edges are uneven and the sheet size is approximate. 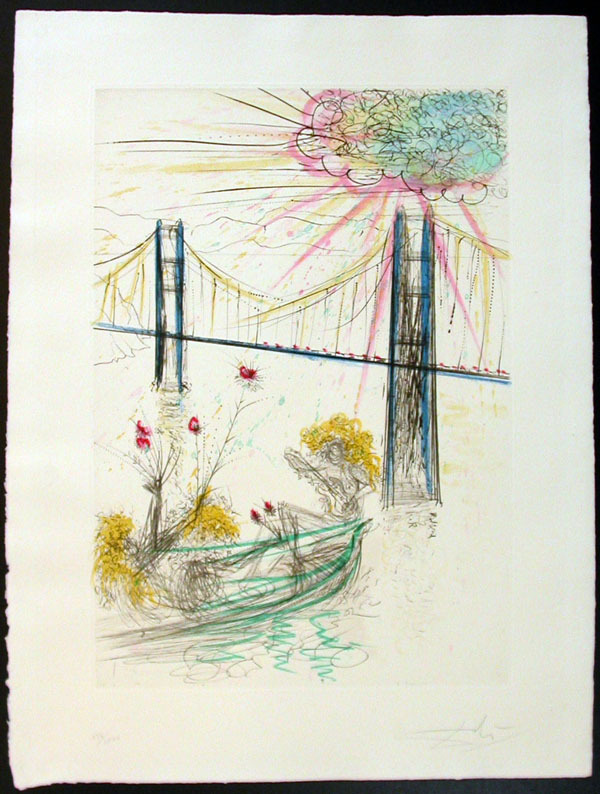 E-mail us for the Price and condition report for Salvador Dali Golden Gate Bridge.